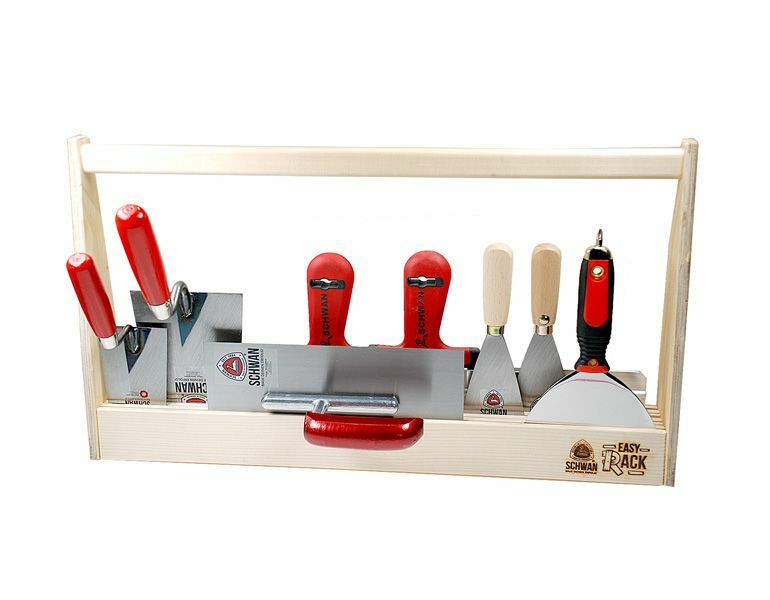 Excellent tools for professional requirements. For more precision during work. 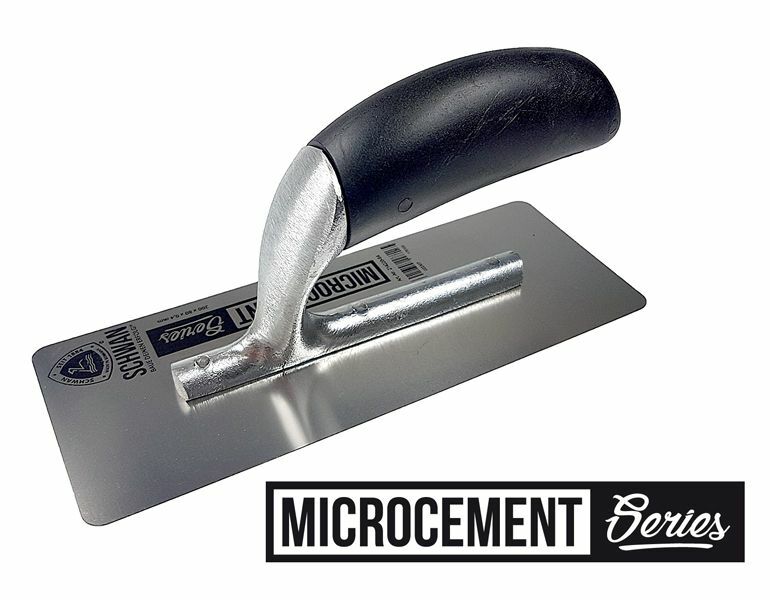 The secure connection for professional smoothing trowels. coupled with entrepreneurial vision, expertise, and lots of love for the details. 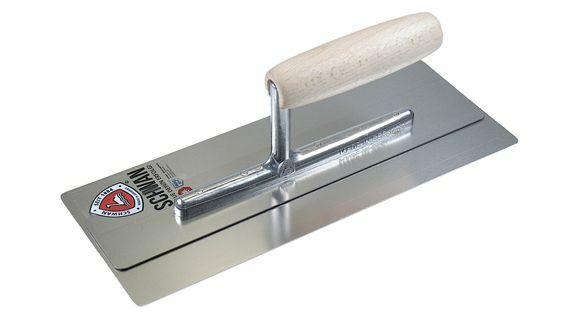 Venetian finishing trowel made of chrome steel. Manufacturer of construction equipment made in Germany. Not all tools are made equal. Those who do technical work with professional requirements know how important excellent tools are. 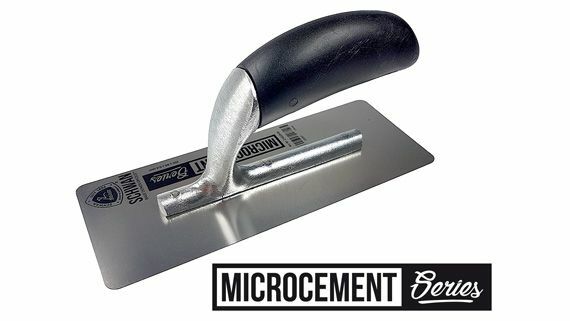 So, for example, high-quality trowels, finishing trowels, or even filling trowels allow for precision during work and are tough, robust, and long-lasting. They also leave room for the proper amount of individualism and flexibility. The Schwan tool factory has been producing masonry tools for close to 130 years. This experience, coupled with entrepreneurial vision, expertise, love for the details, and the constant search for innovation make normal tools into Schwan Werkzeuge. We place just as much value on German workmanship – “Made in Germany” – as we do on generating individual solutions. 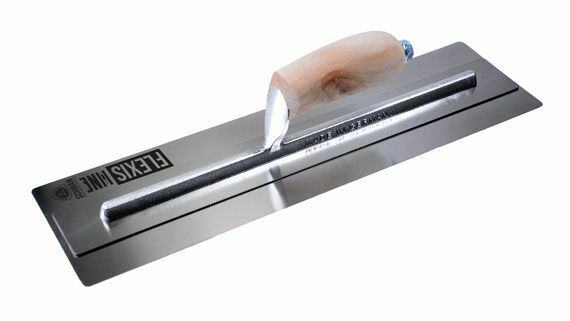 Flexible plastering trowel "Flexis One XS"
Layer thickness trowel "MM Control"
Notched Mason's Plane "Schwan Crocomax"
Curious about more? Our production and sales range has been significantly expanded in the current version. Choose from over 8,000 items for the professional user. Dimensions 200 x 80 mm, blade thickness 0.4 mm. 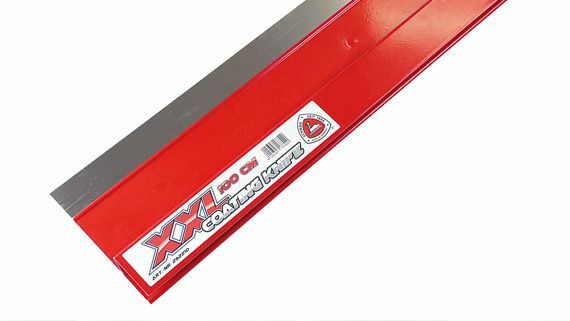 Alternatively available in 240 x 90 x 0.4 mm. Stainless steel blade, rounded corners, with plastic handle. Also available with soft handle on request. Dimension 240 x 120 mm, blade thickness 0.5 mm. 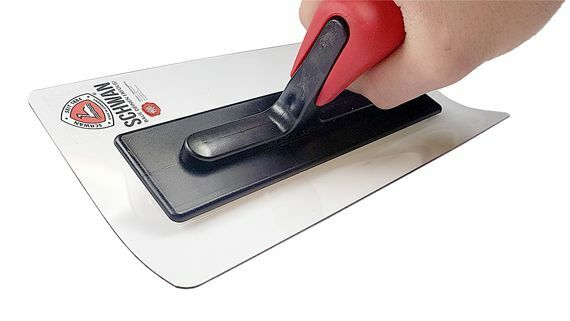 Polycarbonate blade, rounded corners, with soft handle. 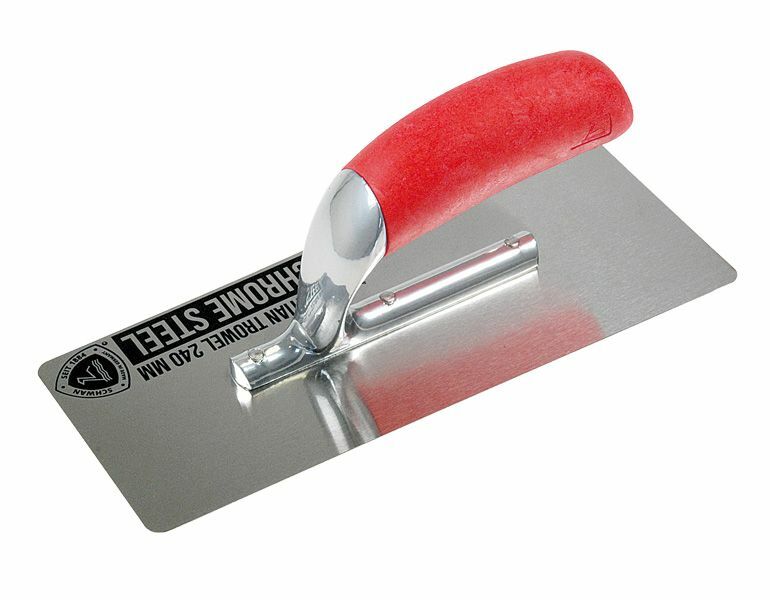 The extra flexible plastering trowel for professionals. Dimension 280 x 110 mm, blade thickness 0.3 mm. 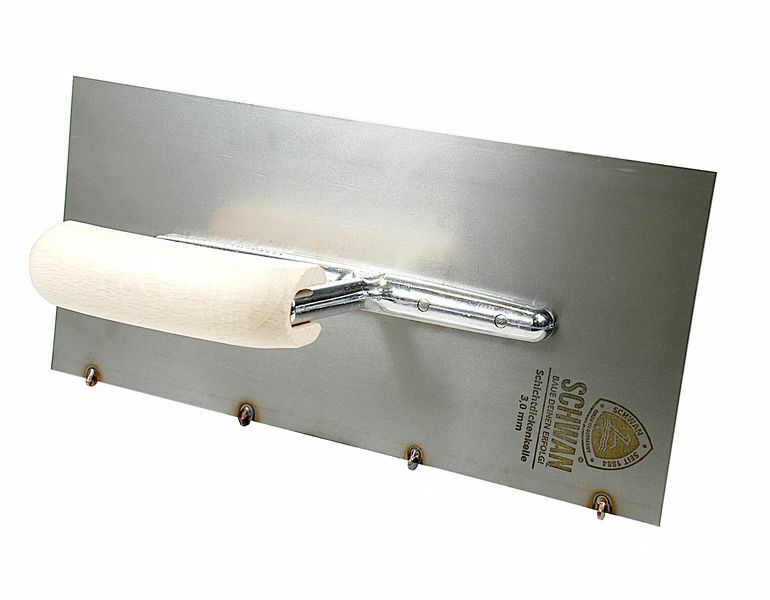 Stainless steel blade, rounded corners, with light aluminum support "SECURE CONNECT" and thin wooden handle. Also available with soft handle on request. Stainless. Blade thickness: 0.3 mm. Rounded corners. Light aluminum support. Screwed wooden handle. 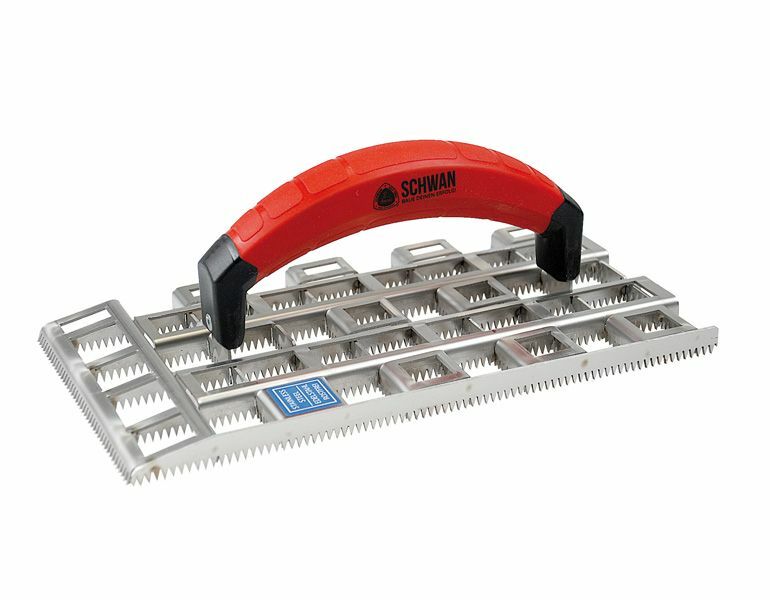 The new and innovative connection for professional smoothing trowels: The pond through studs of the Schwan Secure Connect support ensure a secure, stable and durable connection to the blade. 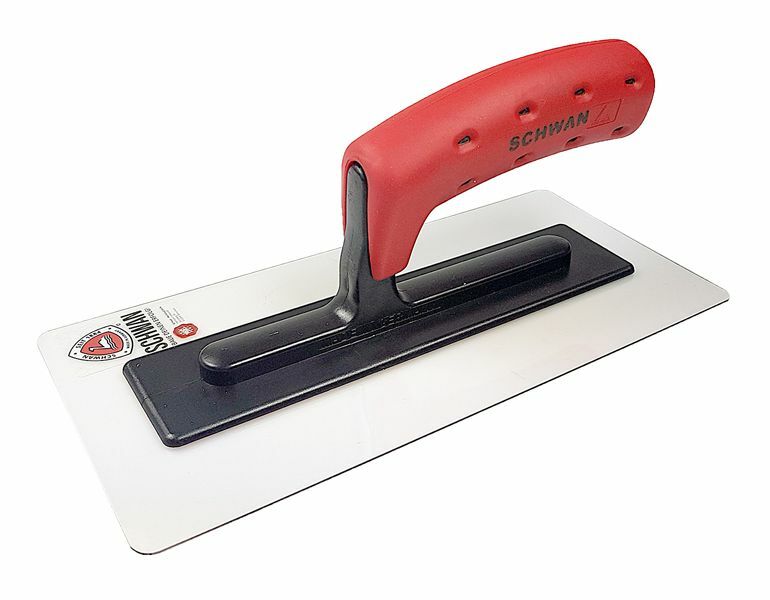 The smoothing trowels of our professional series are already equipped with the Schwan Secure Connect support. Available in 180 and 250 mm. 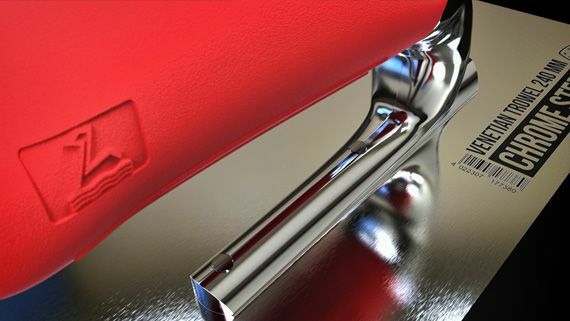 Finishing trowel for precise, controlled application of thick coatings. Available for different thicknesses. 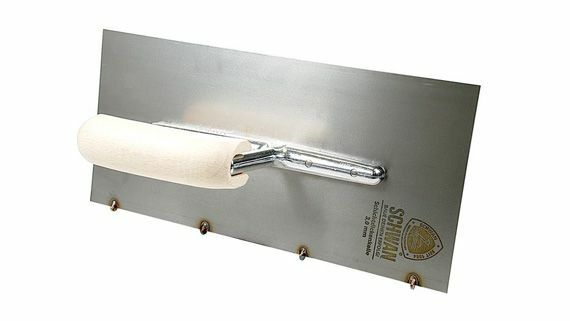 The XXL Coating Knife by SCHWAN has a width of 100 cm. The replaceable stripping blade consists of 0.5 mm thick stainless steel for a quality grade up to Q3. 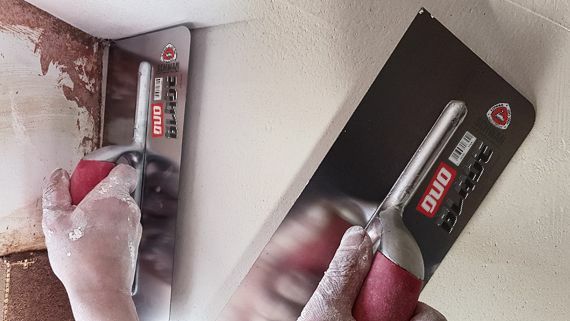 The innovative tool allows accurate and sharp cutting of plaster. The two rounded corners facilitate stageless work, while the corner areas of the wall and the ceiling can be worked on using the straight sides. 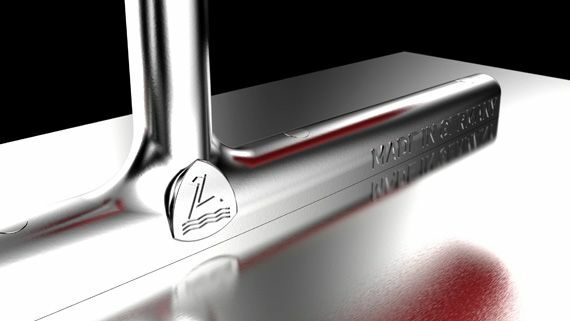 The long aluminium supports ensure optimal stability of the entire sheet length. 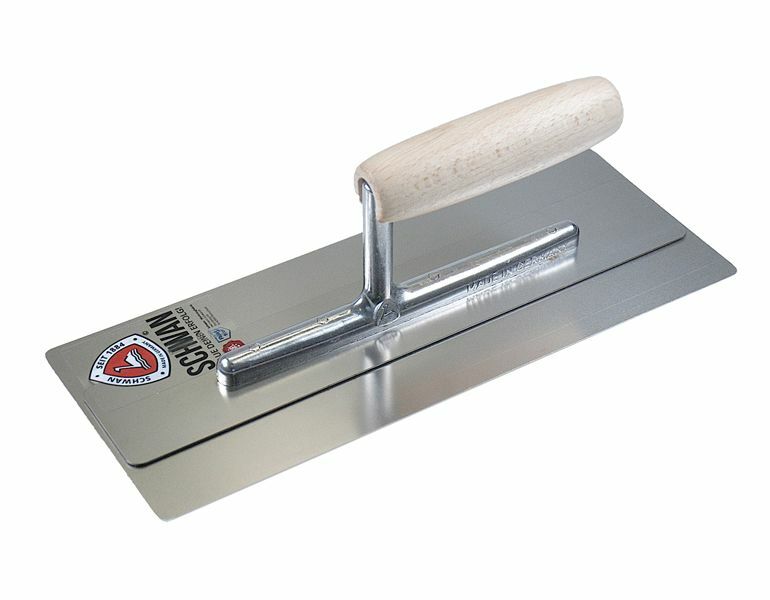 The Venetian trowel is the classic among plasterers’ tools. Tried and tested for centuries, the design and application of the Venetian scraper technique haven’t changed - but the material and execution of the tools have. 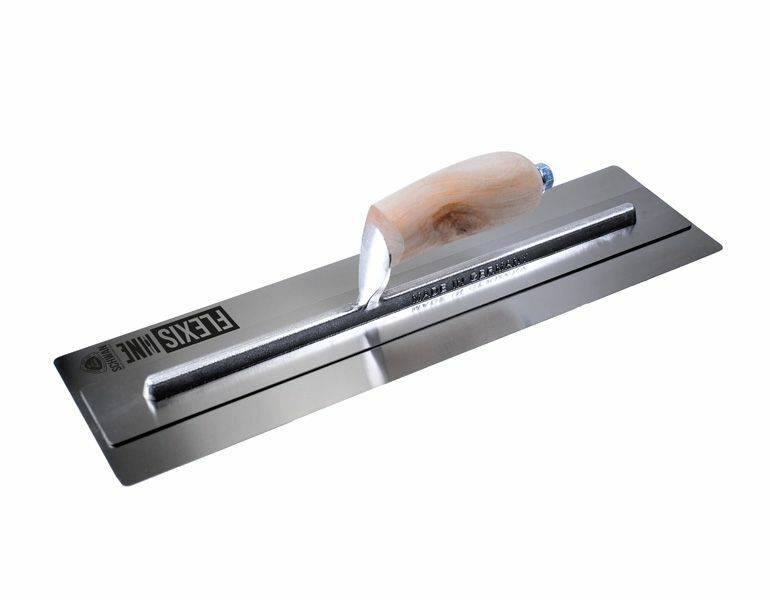 Our Venetian trowel impresses with a series of work-simplifying and elaborate details – the sheet is composed of rust-free, durable, and wear-resistant chrome steel. The undersides of the edges are partially ground to optimally compress striae formations in the plaster. Available in the dimensions 200 mm x 80/70 mm, 240 mm x 100/90 mm, and 280 mm x 120/95 mm.